I just finished reading Daniel C Dennett’s latest book “Intuition Pumps And Other Tools For Thinking” and, while it’s overall an engaging book, his final section is just plain disappointing. 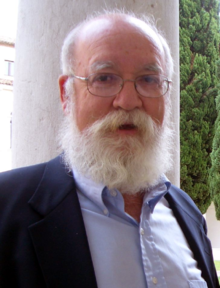 In the final chapters, Dennett attempts to demonstrate some of his “intuition pumps” (tools for improving our thinking about difficult problems) by tackling three very hard problems – evolution, consciousness and, finally, free will. It was the section on free will that disappointed me. 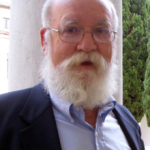 I read it knowing full well that Dennett is a proponent of “compatibilist” free will and hoping to find, finally, a solid argument for its existence, something I could get my teeth into. Instead, I found his arguments to be sophomoric and vapid. People care deeply about having free will, but they also seem to have misguided ideas about what free will is or could be (like their misguided ideas about color and consciousness). Our decisions are not little miracles in the brain that violate the physics and chemistry that account for the rest of our bodies’ processes, even if many folk think this must be what happens if our decisions are to be truly free. We can’t conclude from this, however, that then we don’t have free will, because free will in this bonkers sense is not the only concept of free will. The law, according with common sense, contrasts signing a contract “of your own free will” with signing a contract under duress or under the influence of hallucination or other mental derangement. Here is a perfectly familiar sense of free will, a distinction presupposed by many of the practices and attitudes that comprise our manifest image, that has no demonstrated dependence on the bonkers sense. So, according to Dennett himself, we actually don’t have free will as most people think of it, i.e. the ability to make decisions and actions completely outside of cause and effect (aka the laws of physics). Don’t worry though, he says – it doesn’t matter. We still have a “sorta” free will (sorta is another of his thinking tools). He assumes that we still have some kind of free will – the kind of free will, let’s stay, that allows you to sign a contract or not sign a contract. However he never explains how this free will actually works. Aren’t these decisions also made in the brain? Isn’t the brain made of chemicals that obey the laws of chemistry? On one hand he says “yes, yes, our bodies obey the laws of chemistry” but then says “but we still have some kind of free will” – without ever attempting to explain how this works. For hundreds of years there have been philosophers who have insisted that this sense of free will is the important sense, the one we should care about, and it is compatible with determinism, with materialism, with physics and chemistry reigning unchallenged. The intuition pumps and other thinking tools in this part are designed to support and advance the understanding of this prospect, compatibilism. It has had many versions over the years, and is probably the consensus not only among philosophers but also among judges, lawyers, and others who have to make distinctions about who is responsible for what and who is excused because they didn’t have free will when they acted. Some scientists are now challenging this consensus, and they may of course be right to do so. Let’s take a hard look at the arguments. Maybe science is teaching us something radical, even revolutionary: that nobody is ever responsible for anything they do, and there is no sound basis for distinguishing some acts as praiseworthy and others as blameworthy. But such a revolutionary conclusion needs a lot more conscientious attention to detail than it has so far received from the scientists declaring it. Finally, in that last paragraph, he starts to make some sense – at least up until the last sentence. Scientists have declared for several centuries that atoms obey laws of physics. Why would they need more “attention to detail” when stating that the atoms that make up our brains also obey those laws of physics? Earlier in his chapter on free will, while discussing the views of philosopher Galen Strawson, Dennett claims that nobody has ever explained to him why it matters that we don’t have perfectly free will. I don’t establish the kind of free will most people want to believe in, and I know it. But I think they are wrong to want to believe in it, and wrong to believe in it if they do. The burden falls on Strawson and others to show why we ought to care about ultimate responsibility—or the determinism/indeterminism issue—in our lives. So Dennett is basically saying “okay the science says we don’t have free will – but unless someone explains why that’s important, we should keep believing we “sorta” have it.” That’s just dumb. By the way, the “why” is quite easy – and anyone with half a brain who has thought about free will for an hour will realise it. If we accept that our thoughts, decisions and (therefore) actions are all determined by the laws of physics and chemistry, then we need to re-think all of our emotional and legal connections to the idea of free will. The legal perspective is obvious – if people aren’t ultimately responsible for their actions, we need to treat criminals as ‘broken’ instead of ‘bad’ (which reminds me – it’s a new episode of Breaking Bad tonight, but that’s another story…). How we treat a broken person (treatment and containment) would be different to how we treat a bad person (punishment). The more important issue, however, is our emotional connection to free will. If you and the people around you aren’t truly in control of their actions, then what reason do you have to feel guilt, regret or anger? Everybody you know (and that includes you) is just fulfilling their biological programming. How can you be angry at someone who is just obeying their programming? How can you be angry at yourself for obeying yours? Why would you regret past decisions you did or didn’t make if you totally understood that those decisions were 100% programmed by your chemistry? I remain a fan of Dennett as a philosopher and thinker, but his views on free will are, unfortunately, too similar to religious belief. He obviously wants to believe that we have some sort of free will and therefore is prepared to, if not ignore the science, dismiss the science as irrelevant. It’s right up there with the God of the gaps. We might call it “free will of the gaps”.